Pando forest in central Utah. Image by Tom Oord. The following is a chapter from Roadtrip to Pando 2017, a short book filled with rich reflections and beautiful photographs from last year’s expedition. Order your copy today from the Pando store. There are aspens in southern Utah that spread over a hundred acres. What we see appears to be a massive grove, but in fact it is a single tree – genetically the same, sharing a single root system. All of what appear to be separate trees are in fact one organism. When any part of the organism needs nourishment, the other parts come to its aid. As the Bible says, “in the twinkling of an eye” I had been given an image from planet Earth illustrating a profound truth about Oneness that I had preached many times as an Episcopal priest. There were other quotations vibrating in this nexus of quotations on Oneness in my homiletical toolbox. My dear friend, the Jesuit priest Gregory Boyle, embodies the worldview of kinship when he tells his compelling stories about seeing the former gang members with whom he works as being kin to the rest of us. One of the spiritual directors in my youth consistently said, “Kin-dom of God,” when the rest of us were saying, “Kingdom of God.” So I had a toolbox of quotations and persons, but Professor Cobb introduced me to something new: an illustration from planet Earth. “Maybe if we get people to look at themselves and their world with Pando as the model rather than the Strasbourg clock, we would develop different ideas of how to relate to each other and to the Earth – different ideas of what is valuable and important.” Those words written by John in 2014 became a clarion call for my vocation within a vocation. I had long known that the ideology of the individualistic separate self was a delusion and in fact societal suicide, but in Pando we have a living organism to show us our alternative to a separateness which is not sustainable. We can build a new organization where everyone belongs in our interdependent interwoven Oneness. So my wife, Hope, and I made the journey with great anticipation. We absorbed as much of Pando’s energy as possible from learning, meditating, journaling, simply Be-ing in the grove. 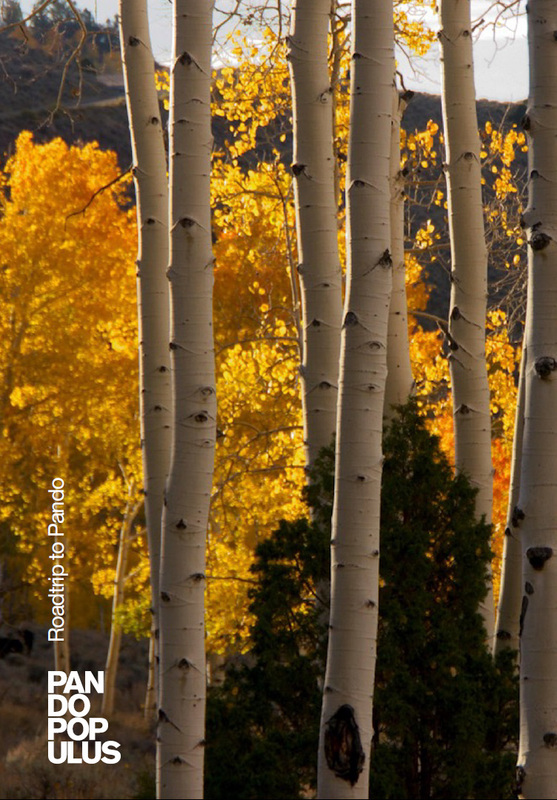 Learning more about Pando, its wonder and its vulnerability, has charted a new course for our life’s work. We now find ourselves as ambassadors for the values implicit in that 106 acre one-tree forest. Each of those aspen trunks, living and growing together in one living, beautiful organism with one common 106 acre rootball, now represent the emblem for the hope of our relations with one another and with the Earth. As we are beginning to say, “You belong to me. I belong to you. We belong to one another.” That is a creed for a whole new way of thinking and a whole new ecological civilization. The Rev. Ed Bacon served for more than 20 years as Rector of one of the largest and most socially active progressive churches in the country, All Saints, Pasadena. A national media figure, he was the first faith leader to regularly and systematically call attention to the Pando one-tree-forest as a contemporary and inter-religious symbol of faith.